The revolutionary Shop Ethical! 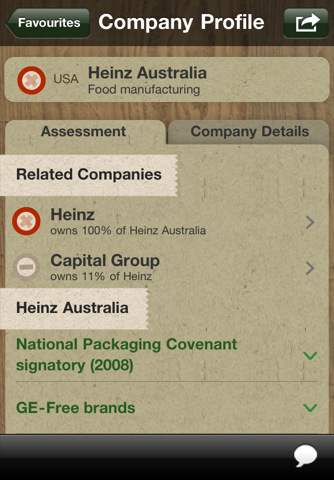 app gives you the low-down on the environmental and social record of companies behind common brands you buy in Australian supermarkets. A massive hit on the app store, it has been features as Apple's App of the Week and held #1 place in the Reference category ever since it was released. SHOP ETHICAL! is a tool that allows you to TAKE ACTION by avoiding companies with a negative track record and supporting companies who make a positive impact. - Easily find your favourite products and learn how ethical the companies are that make them. - Add preferred brands and companies to a favourites list and get quick access to them when shopping. - Discover ethical alternatives that are worthy of your hard earned dollars. - Take action by easily contact companies via web, email or phone. The Shop Ethical! 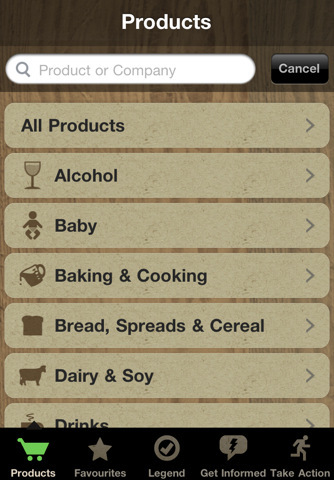 app gives instant access to over 2,800 products with related company information and lets you make an informed and ethical decision whenever you shop. By shopping ethically you can send a strong message for change and support the practices that make our world a better place to live in. Companies need our money to stay in business - money talks, and your dollar literally is your vote. The Shop Ethical! app stores stores data locally so it's perfect for your iPhone and iPod Touch, and there's no extra downloading required. The Shop Ethical! app uses data from the Ethical Consumer Group and is based on assessments gathered from over 25 sources including the work of organisations such as Greenpeace, Choose Cruelty Free, Reputex, Responsible Shopper and Friends of the Earth. All claims made in the app link to the source information so you can check up on them yourself. Shop Ethical! is a huge innovation. It gives consumers the ability to conveniently access information about where your money really goes when you purchase a product in the supermarket. It allows you to see past the superficial branding of a product and see the issues/benefits behind it. This is a much more powerful way to make your purchasing decisions - rather than just looking at the packet. Shop Ethical! was designed to be beautiful and extremely simple to use. Important information is easily accessible and if you desire you can delve into in depth information about the companies behind the brands. While Shop Ethical! does allow you to avoid companies that behave unethically, it also highlights companies that perform well. This provides and incentive for companies to do better. As more and more people use the app the incentive will grow. All claims made in the app link directly to source material on the web, so it can also be used as a starting point to a whole world of information. Users can use the search capability to quickly find a product or company. They can also browse through the aisles of a supermarket to find a category they are shopping for - for example, nappies or canned food. The Shop Ethical! was extensively tested in a real world environment. 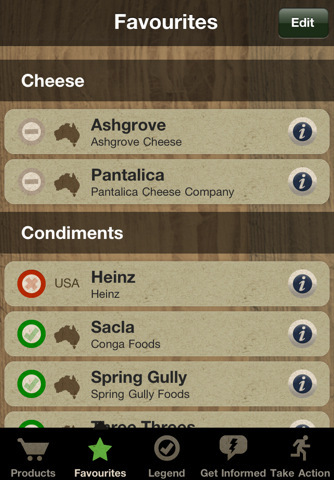 We watched beta testers use the app in supermarkets and adjusted the UI until they were completely happy. The proof of the success of our approach is the over 250 5 star reviews the app has received on the app store. User feedback has been almost uniformly positive. 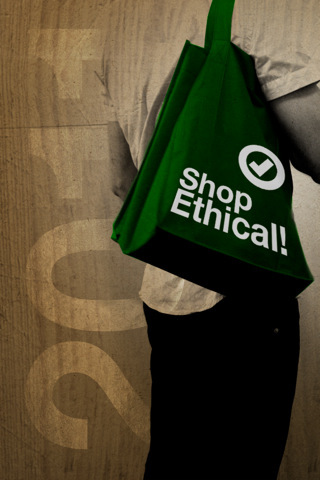 The marketing approach to Shop Ethical! has been based on word of mouth. We were fortunate that the Ethical Consumer Group has built up a mailing list of ethical shoppers that they could initially promote the app to. 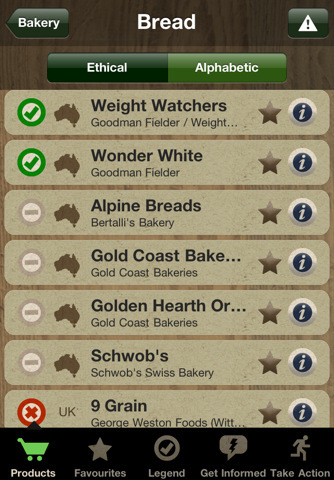 As it is a high-quality unique app with unique content, it had immediate success on the app store. It has never been outside of the Top 5 of the reference category. And has ranked in the top 50 overall apps by download in the entire app store. Sharing capabilities such as Facebook, Twitter and Email help to spread the word about the app. There have been a number of articles about it in the media, including the recent 'definitive 100 apps' article in The Age and Sydney Morning Herald. Having hundreds of glowing reviews makes it an easy decision to download the app once you have found it.